The Mul mantra or the seed mantra with which the Adi Granth begins contains the essence of Nanak's teachings. It declares that God in one and His name is Truth. He is eternal and formless, who can be realized only through His grace. Nanak offers a simple yet direct solution to reach God and that path is through the heart of the seeker. His teaching is earthly and practical, which anyone test and find God within themselves. Through singing and praying one becomes immersed in the thought of Him and enters the state of Samadhi, or union with God. Thus, for Nanak prayer becomes the path when one is totally immersed in it. The following are a few important aspects of his teachings. Do not speak evil of any one. This is the ahimsa of thought. Do not speak harshly to any one. This is the ahimsa of speech. Do not impede any one's work. This is the ahimsa of action. Forgive him who speaks ill of you. Practice physical, mental and spiritual forbearance. Help those who are suffering even at the cost of your life. 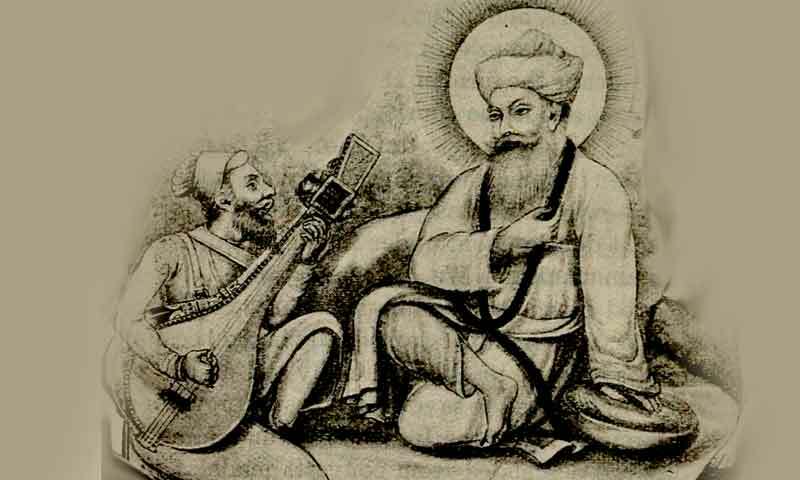 Guru Nanak did not advocate ascetic life as a way to salvation. He himself led a normal life, amidst society, in touch with people of his time, though he was completely God centered and detached from the world and its ways. He preached that asceticism was not the way and the way to salvation was not incompatible with good life, laughing, eating, playing and dressing well. Nanak was humility personified. He often described himself as servant of God or slave to God. He preached service to humanity as service to God and as the right means to cultivate humility. He never declared himself as a prophet or founder of any new religious faith, though he was no less greater than the prophets who were born before him on the Indian soil. He exhorted his followers to crush the crust of pride into true humility and sow the seeds of love so that it would grow unhindered. In many ways the teachings of Nanak aim to create amity and understanding among various religious creeds of his time. We cannot say that it was a deliberate attempt on his part to try to integrate the traditions and beliefs of Islam with those of the native religions. His faith in the universal harmony of various religions was in total agreement with his inviolable faith in God as the supreme lord and the goal of all our endeavors. He declared, "For me there no Hindu and no Muslim. With all I am at peace. The God residing in us renders us incapable of hate and prejudice." God is the supreme creator and commander, the one god, the eternal, all pervading, divine light. His form is beauty, his form is love, his form is justice, his form is bliss, eternal and immortal. All the virtues exist in Him. Man contains with in himself a tiny fragment of Him. As a fragment dwells in a flower, or an image in a mirror so does the soul resides in the human body. Man is truly a reflection of the glory of God, a true micro specimen of the infinitesimal Universal Soul. "Such is the divine play of God that He has reflected the whole cosmos in the human body." 1. Dharam Khand: The first stage consists of performance of ones duty sincerely. 2. Gian Khand: The first stage leads to the second where a devotee gains a true awareness of the greatness of God, His true attributes. 3. Saram Khand: In this phase the devotee attains purity of mind and understanding. 4. Karam Khand: In the fourth phase, the devotee gains the fruits of his good actions. He acquires divine grace and true spiritual power. 5. Such Khand: through the grace of God now the devotee enters the realm of God, which is beyond all human activity and the ordinary reality.